From Armageddon MFG comes the second generation of the popular Apocalypse RDA made by Ariel Paxson, and John Norman! The Apocalypse Gen2 RDA is a high performance rebuildable atomizer that integrated a two-post, two terminal per post design with gold plated bridge clamp mechanism. The build deck of the Apocalypse is manufactured using stainless steel with 21mm of room inside the build deck to support almost any build you can throw at it. An intuitive dual side airflow control allows for either single coil or dual coil build types. The tear drop design on top cap allows for full customization from tight airflow to wide-open airflow style. 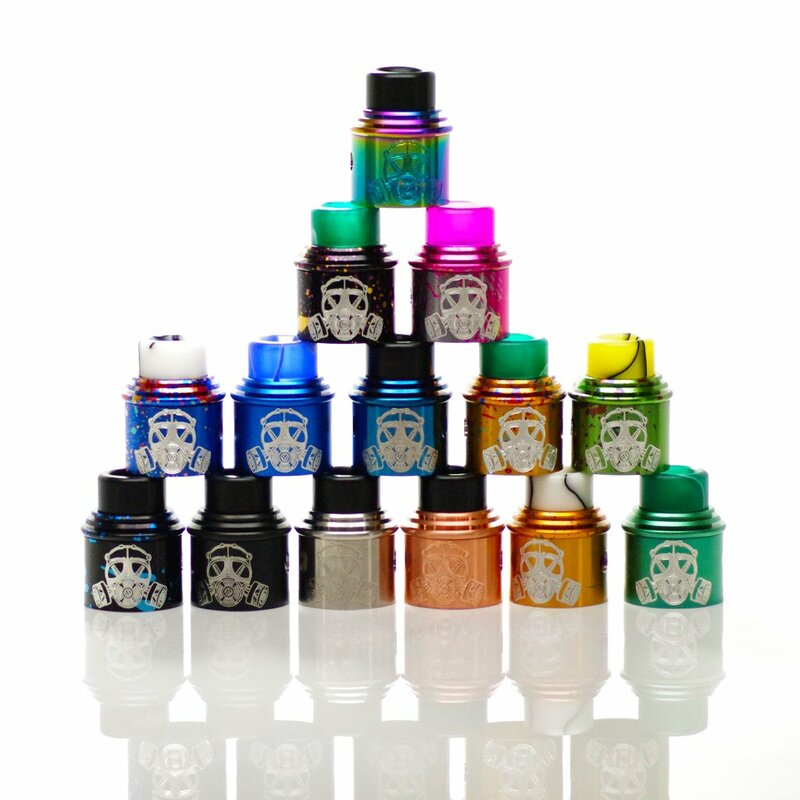 The Apocalypse RDA utilizes a conical shaped cap design to provide full flavor enhancement as well as smooth airflow. With many interesting colors and a unique style, The Apocalypse Gen2 is perfect for fans hooked on the Armageddon brand and any vaper who wants to take their vaping from ordinary to extraordinary.